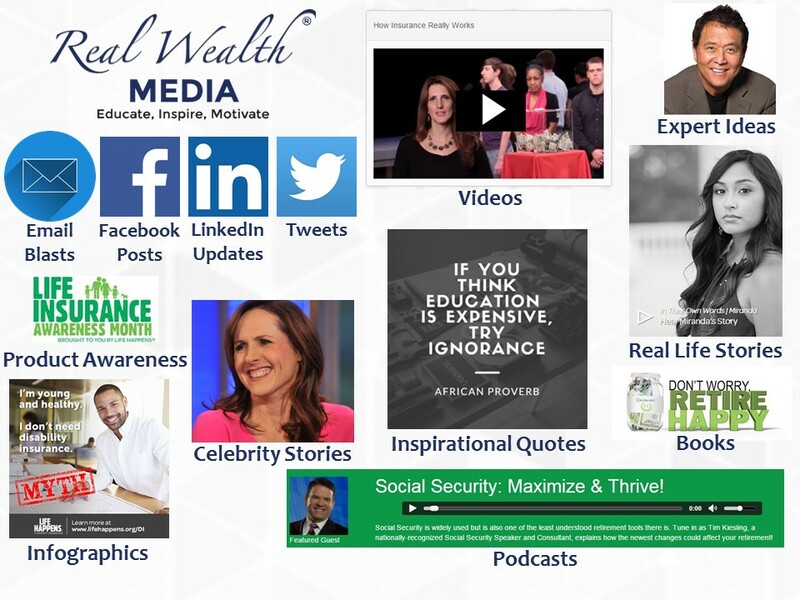 Use Real Wealth® Media to Market Yourself. 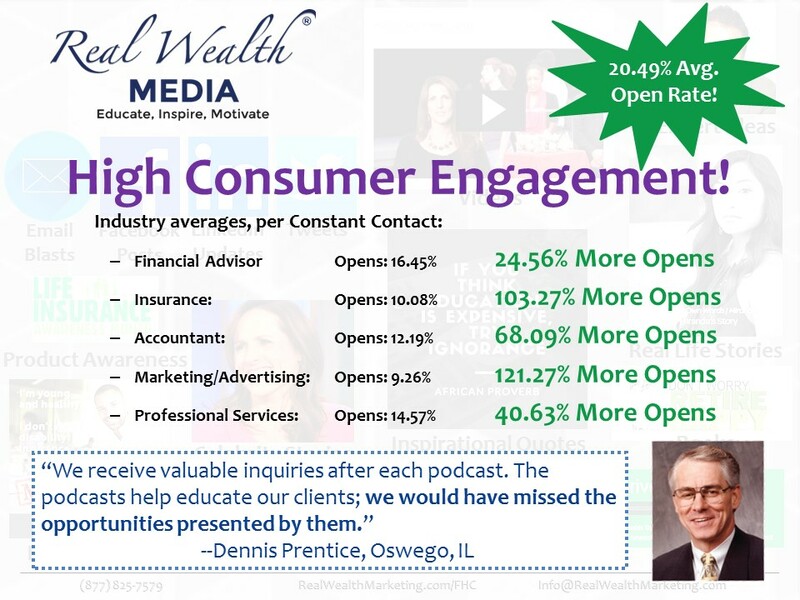 Each episode features nationally recognized guests and industry experts like Robert Kiyosaki and Grace-Marie Turner, all sharing stories and ideas that encourage consumers to make smart decisions with their money with the guidance of their professional. You know how most advisors don’t have the time or the know-how to market themselves effectively? Learn more, contact us, or join today!